The walled city of Avignon France is located in south central France in the region of Provence. For some 67 years, Avignon was Vatican City (Franco Vaticano). Today, it is one of France's top tourist destinations and home to some great museums and beautiful architecture. Place de l'Horloge is the city's main square. The Popes' Palace is another famous landmark in Avignon. Top tourist attractions can be found throughout the city. Although there are many good hotels in the city, they quickly book-up during the busy summer tourist season. 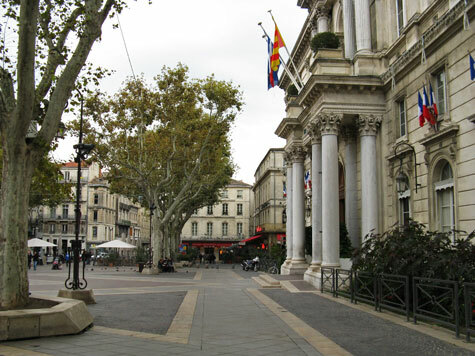 Avignon is easy to reach by train from Marseille, Paris and other European cities. Although it does have its own small airport, many visitors arrive via the Marseille Provence Airport. Many tourists to Avignon enjoy taking a river cruise on the Rhone River.